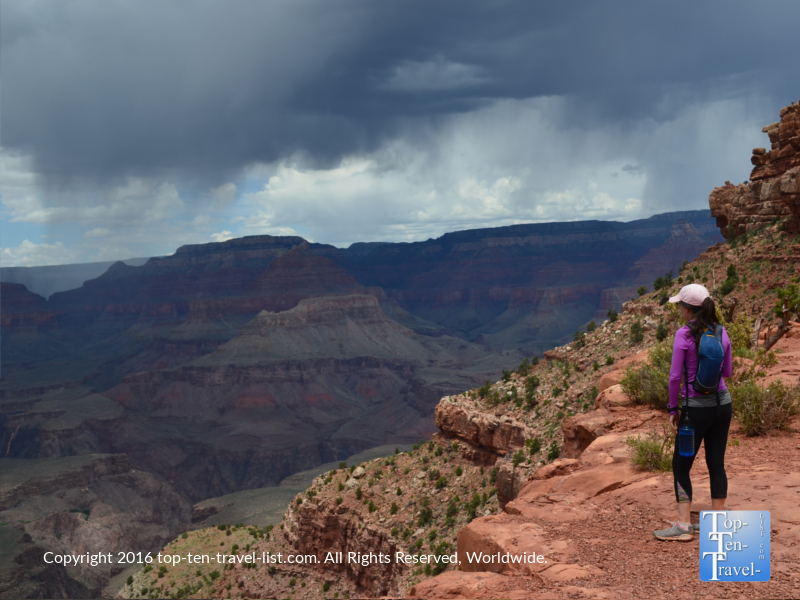 101 Things to do in Northern Arizona - Top Ten Travel Blog | Our experiences traveling throughout the US. Northern Arizona is a surprisingly diverse area of the country, especially in comparison to its’ southern counterpart. 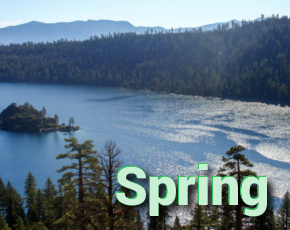 Instead of the towering Saguaro cacti of the Sonoran desert, you will find yourself immersed in the largest ponderosa pine forest in the world. Instead of 6 months of brutal 90-100+ degree temps, you will find an attractive 4 season climate which includes mild summer days rarely topping 80 degrees, intense winter snow storms, and even some terrific fall foliage. Yes, this is Arizona! A snowy scene in Kachina Village (Just a few miles outside of Flagstaff) after a massive winter storm. Instead of miles & miles of bland, never- ending suburbia, you will find interesting historical sights, endless beautiful hiking trails and recreational opportunities, easy access to some of the top natural wonders in the country, towering red rock formations, the state’s largest ski resort and only Nordic center, and so much more. This unique area of the country has so much to see and do. Although most tourists will come and go simply seeking out the Grand Canyon, this is a missed opportunity. Take advantage of your time out here and explore some of the other less hyped about natural wonders. Here are 101 things to do in Northern Arizona -in no particular order although I have marked what I believe to be the 20 must-do’s with a star. 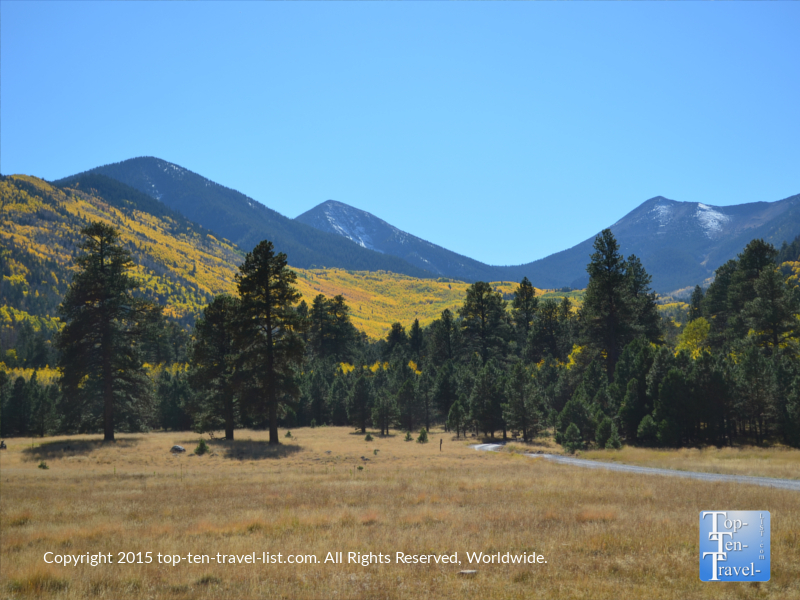 Hiking the Inner Basin trail during Flagstaff’s spectacular fall season is one of the number 1 things to do in Arizona, asides from the Grand Canyon. During the fall, Flagstaff sees brisk sunny days and amazing foliage that is right up there with anything you would find in New England. 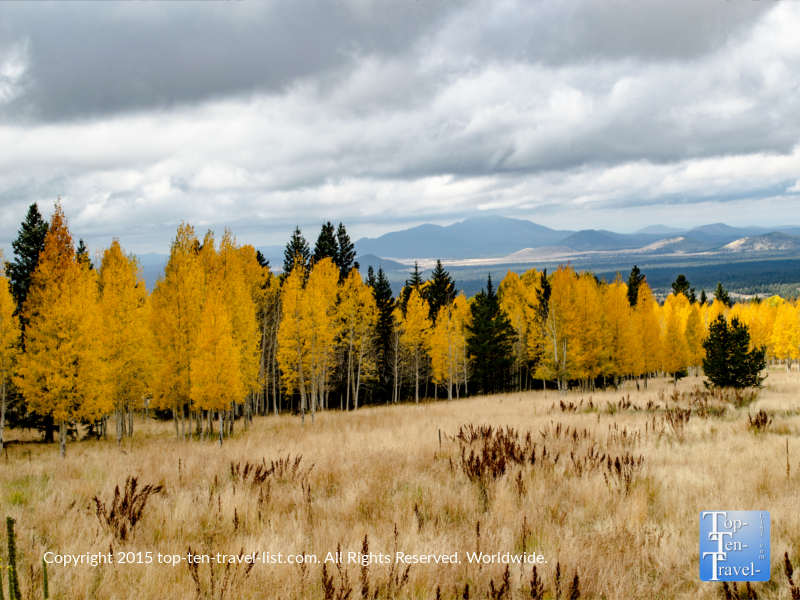 The high altitude Inner Basin hike, which takes you into the heart of the beautiful San Francisco Peaks (home to Humphrey’s Peak – Arizona’s highest at over 12,000 ft), is simply extraordinary in autumn. No picture does this one justice, so you will have to see for yourself. 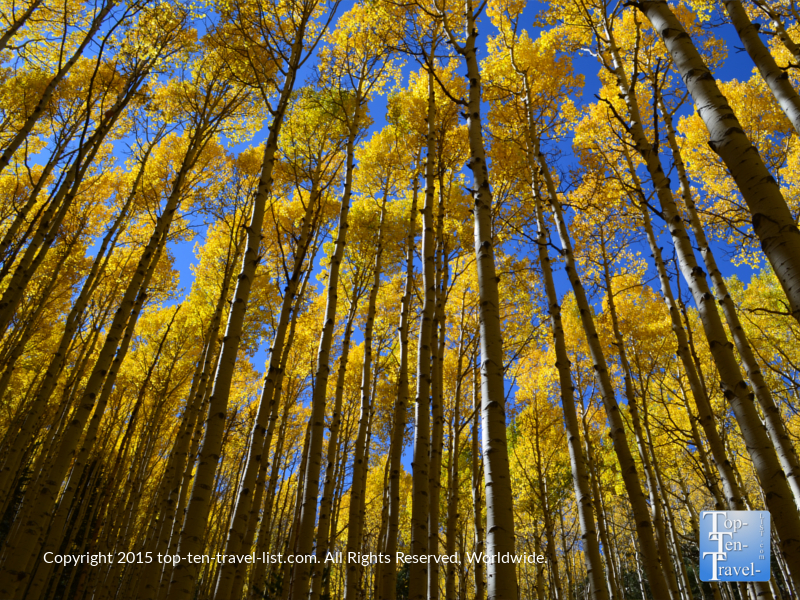 Mesmerizing aspens line the 1.5 mile out-and-back trek, casting a gorgeous golden glow in the fall sunlight. Leaf peepers absolutely must plan for a stop here – the foliage is unlike anything you’ve ever seen before. Few places out West offer such an incredible leaf peeping experience without much effort or cost involved. The hike, which starts at 8700 ft and ends near 10,000, is intense alright, although when surrounded by such beauty, it really does not feel like all that much effort. Devil’s Bridge, the largest sandstone arch in Sedona, is the most fascinating natural wonder in Sedona. A walk across this mesmerizing natural bridge makes for one of the most photo worthy shots in all of Northern Arizona (and possibly the entire state). The hike to get to the bridge is nothing short of spectacular with red rock scenery in every single direction. Surprisingly, the trek to get to the arch is not all that difficult (400 ft elevation gain) considering the ROI of out-of-this-world scenery (although the same can be said for any Sedona hike). The ending climb involves a bit of a scramble, however, as soon as you begin walking across the bridge, marveling at the scenery all around you, there is no question as to whether or not your effort was worth it. Be aware -this is one of Sedona’s most popular trails, so you will need to get here early to ensure a parking spot. 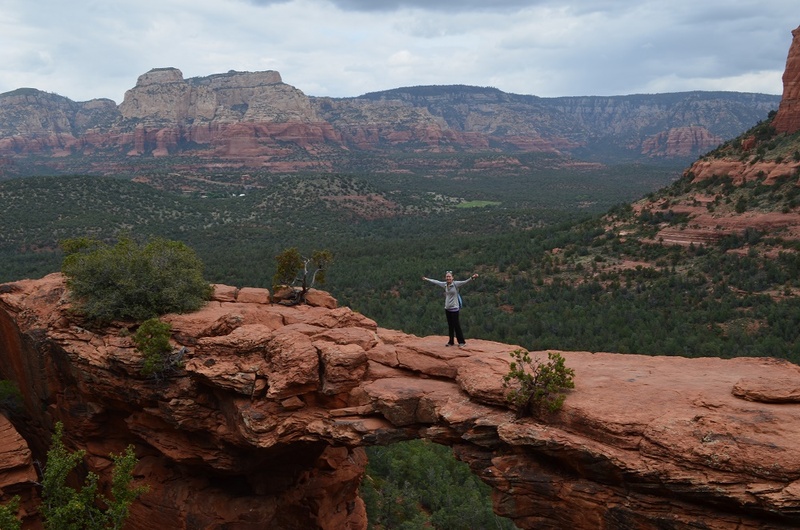 If you only have time for one trail in Sedona, Devil’s Bridge is absolutely the must-do! Oak Creek Canyon Scenic drive is without a doubt one of the most picturesque drives in the country. It’s hard to compete with the diverse scenery found along this magnificent 14 mile stretch of land. The dramatic change of scenery includes towering red rock formations, green ponderosa pine forests, leafy deciduous trees that change brilliant shades of gold and red in autumn, and magnificent mountain and canyon views. 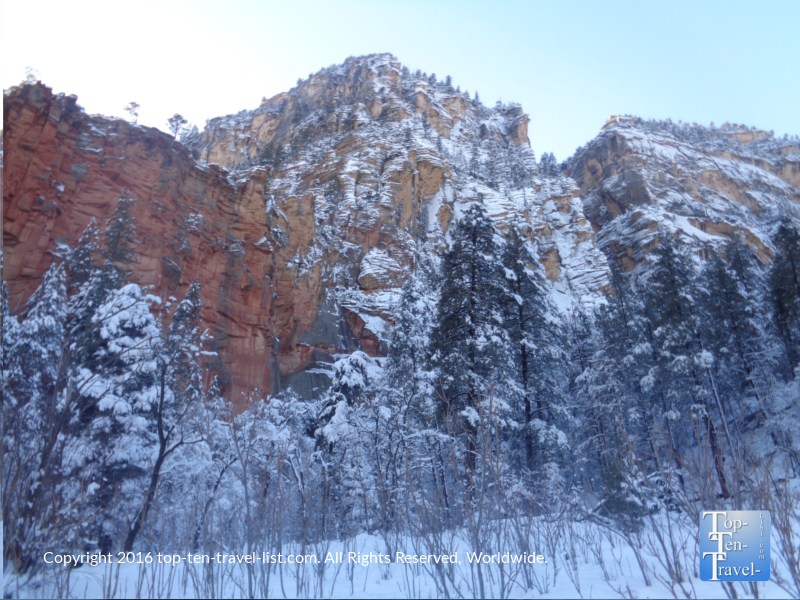 During the fall season, the leaves turn brilliant shades of gold and wintertime after a storm, the red rock looks incredible dusted with snow. The drive begins just a few miles outside of Flagstaff and continues on until eventually reaching the magnificent red rock scenery of Sedona. 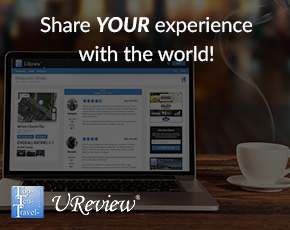 Views aside, there’s lots of attractions along the way including a beautiful creek side hike, a wonderful breakfast restaurant, several scenic overlooks, picnic and camping areas, the best natural spring water anywhere, and several authentic Native American craft markets. You will definitely want to set out at least a half day for this one! The Northern Arizona region is rich in Native American history. Navajo Nation, the largest Native American reservation in the country, is spread out over 5 states including a large portion of Northern Arizona. 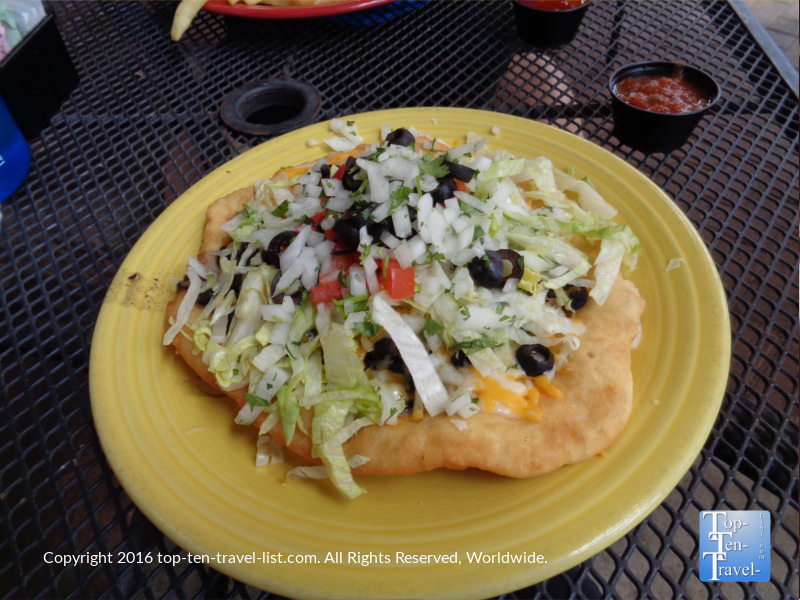 Authentic frybread can be found throughout restaurants in the region. Many restaurants offer the Navajo taco, which basically is a traditional Southwestern style taco which uses frybread instead of a tortilla. 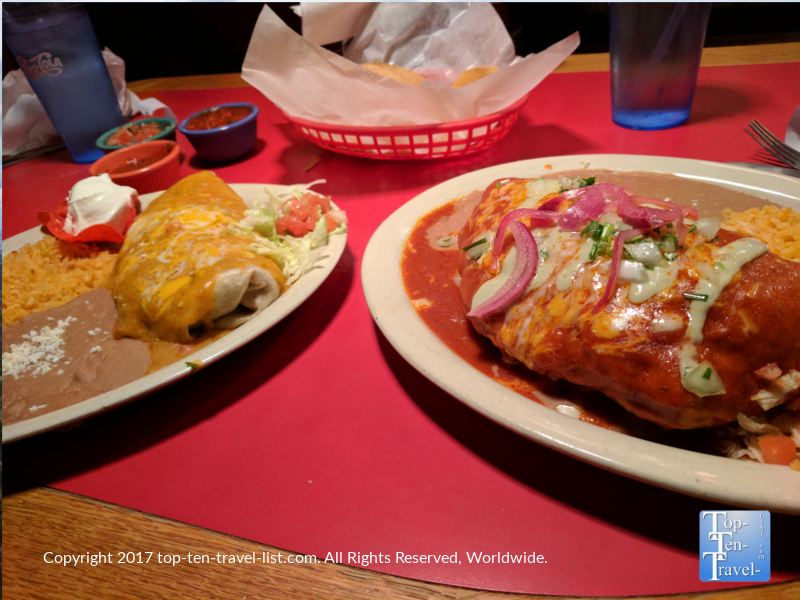 My favorites include the Navajo Taco at Charly’s at the historic Weatherford Hotel in downtown Flagstaff, as well as the Najavo taco at Salsa Brava, a classic Rt 66 Mexican restaurant which was featured on Food Network’s popular Diners, Drive-Ins, and Dives. There are numerous ghost towns throughout Arizona, most of which were former mining boomtowns. Many of these ghost towns became abandoned when the new highway replaced Rt 66. The coolest to visit is 2 Guns, located about 30 miles outside of Flagstaff along I-40 at exit 230. 2 Guns was once a popular tourist stop on Rt 66 due to a thriving zoo and many other amenities. 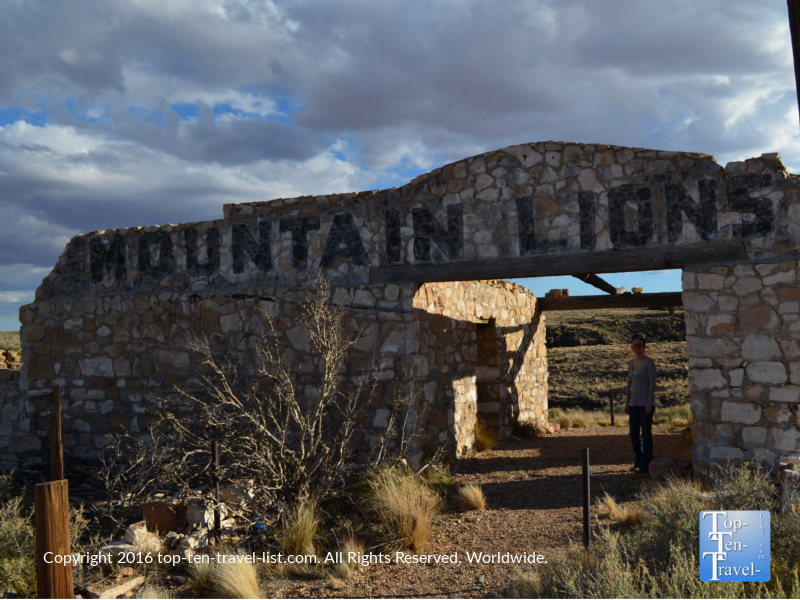 A crumpled down graffiti covered gas station, an old campground building, and mountain lion cages from the old zoo are the only remains of this creepy ghost town. It’s quite a strange experience to stroll around the barren desert land imagining that a thriving zoo once existed in this now totally isolated stretch of land! 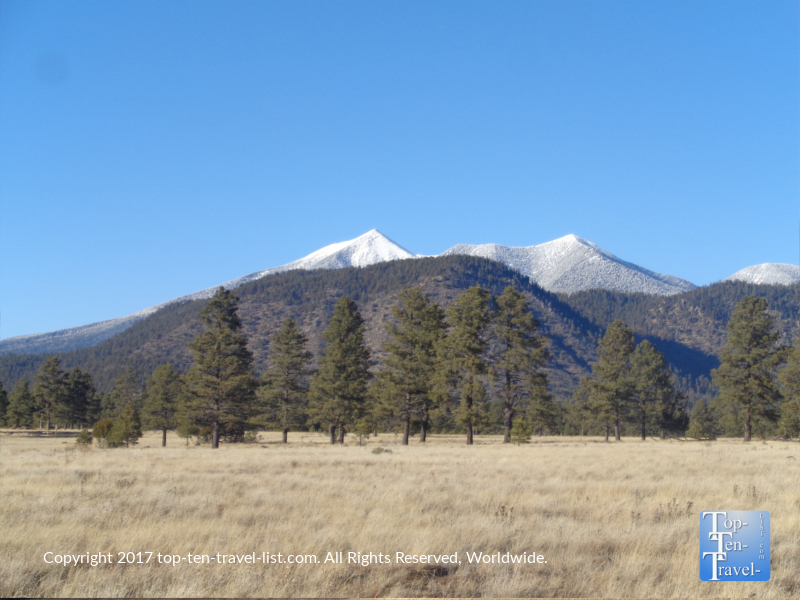 The San Francisco Peaks are home to the tallest natural point in Arizona. The range’s highst peak, Humphrey’s, stands tall at a whopping 12,637 feet. Various locales around town provide decent views of these stunning mountains, however, the best uninterrupted views within town are accessible via a 2 mile nature stroll at Buffalo park. Amazing views of the peaks plus Mt Elden and a flat easy trail make this park a favorite with locals seeking year-round recreation. From summer hiking, to spring bike riding, to winter cross country skiing and snowshoeing, Buffalo Park is your best bet in town for any type of fitness activity. 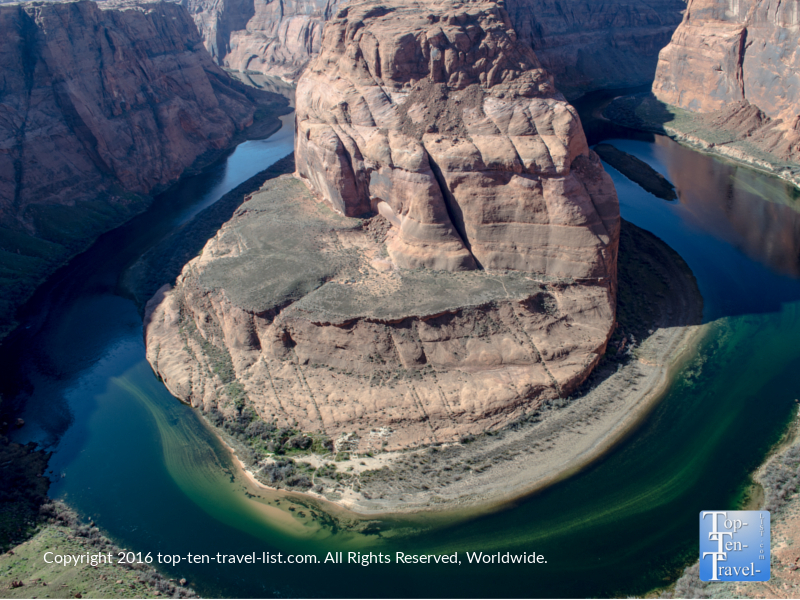 Horseshoe Bend is the name given to one of the country’s most extraordinary natural wonders. The name comes from the unique shape that the Colorado river takes as it curves around a beautiful red sandstone rock formation. This is a must-see out West, particularly if you happen to be already driving this way enroute to Zion National Park. A hike of less than a mile brings you to one of the most spectacular sites you will see anywhere out West – really, not a bad deal for such little effort! Take lots of pics but stay far away from the edge – a massive 1000 foot drop has led to the death of many a tourist attempting to take crazy photos! If you are a fan of Food Network’s Diners, Drive-Ins, and Dives program, you will definitely want to be checking out Flagstaff’s restaurant scene. A handful of restaurants have been featured on the show including Brandy’s, a local breakfast favorite known for their huge portions, Fat Olives, the best spot in town for pizza, and Salsa Brava, a fun Mexican restaurant known for its’ large endless salsa bar and tasty Southwestern style fare. All 3 of these are located on historic Rt 66. Here’s what Guy ate at each: Belgio Dulce Pizza (Fat Olives), Navajo Taco (Salsa Brava), and Beef Stew and Flat Iron Steak (Brandy’s). My personal favorite of the 3 is Salsa Brava for the delicious hearty Mexican fare, colorful ambiance, and great service. Be sure to try one of the signature stuffed sopaipillas pictured above. Everyone is probably familiar with the lyrics to the Eagles’s catchy 70’s classic Take It Easy. 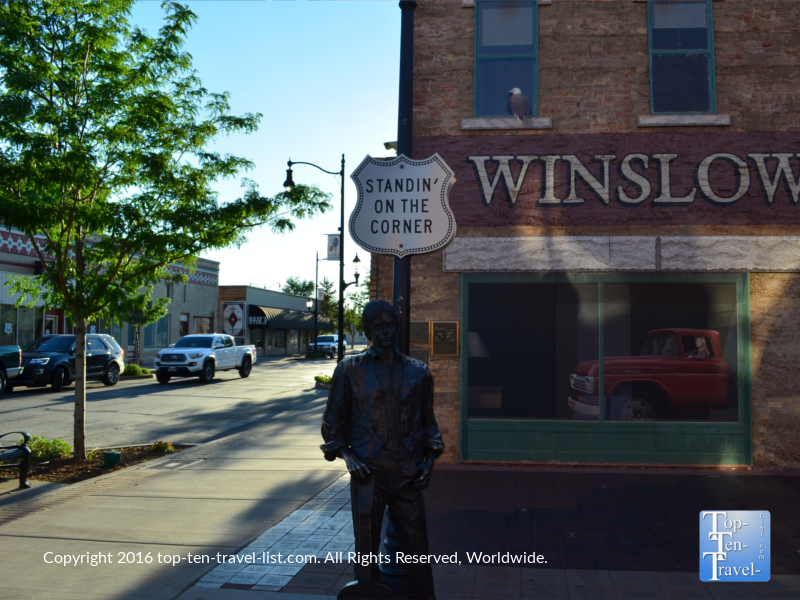 “Well I’m standin’ on a corner in Winslow, Arizona…” – well you can actually stand on the Rt 66 corner in small town Winslow, Arizona for a really cool nostalgic photo. This tiny Northern Arizona community (which frankly resembles a ghost town) sees most of its’ traffic in the form of tourists taking pictures at this commemorative park. Not much else to do really, although there are a few cool souvenir Rt 66 shops nearby. Oh, and you must stop for lunch at the fantastic Turquoise Room, located nearby in the historic La Posada hotel. 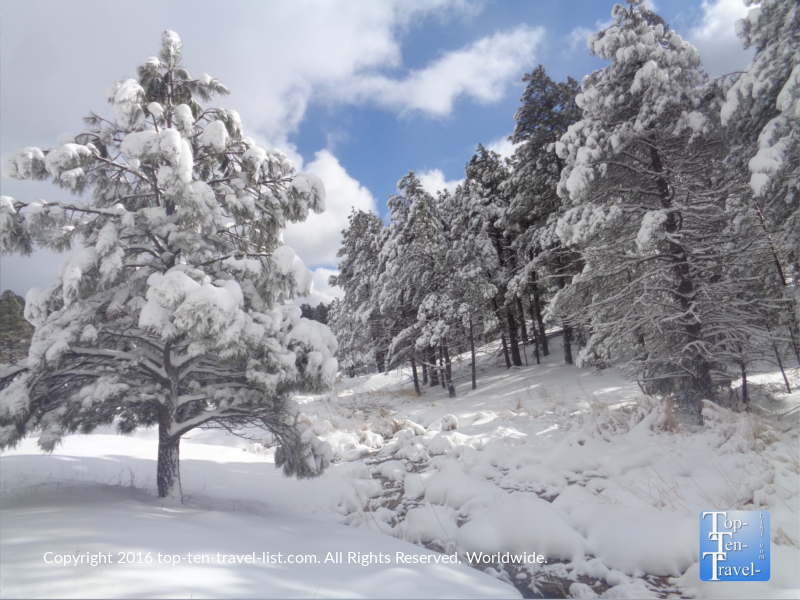 Flagstaff is the winter playground of Arizona, and also one of the snowiest cities in America, seeing an average of over 200 inches of snow per year. The high altitude trails in the mountains tend to get even more snow, which also sticks around longer due to the hefty tree coverage which prevents the snow from melting as fast. 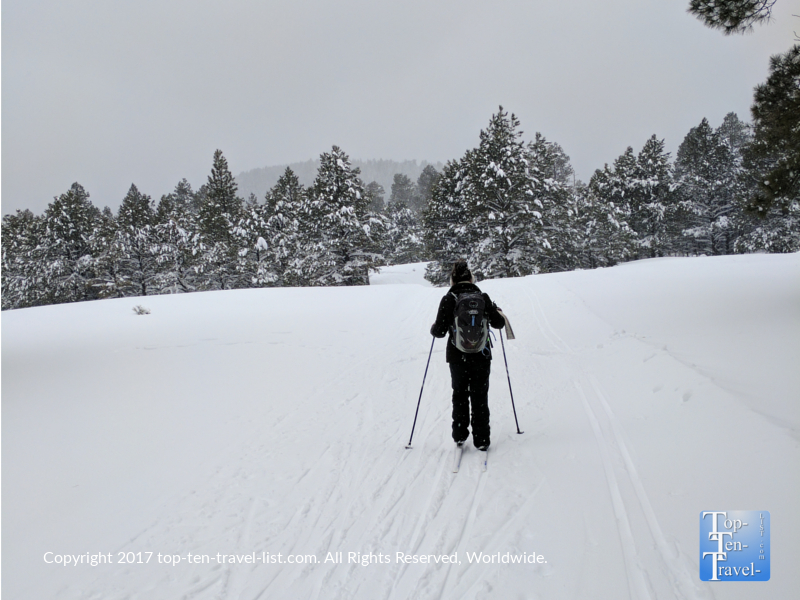 Each winter season, thousands upon thousands of southern Arizona residents, whom are sick of the unending heat, make their way up north to ski, snowshoe, sled, and simply play in the snow. The Nordic skiing center is a great choice for anyone looking to bypass the crowds at Snowbowl as it tends to stay pretty quiet in comparison to the uber popular ski resort. Nicely groomed trails, a diversity of terrain for all skill levels, and beautiful views of the pines make it well worth the long drive along congested Hwy 180. There are lots of fun little hills and the views are so peaceful and gorgeous. Not a skier? Try snowshoeing – it is easy, affordable, and a great workout!